The map size for each city is too small. To be fair, EA was attempting to introduce a trading and city specialization. Which resulted in having a single city that cannot accomplish everything. Instead, cities in the region need to cooperate. But now, the city is so small that the concept of a highway no longer exists (it only exists pre-built between cities in a region). The region idea doesn't work well because people by nature don't play SimCity at the same time. I might play one day and a city in my region plays the next week. This makes it challenging to work together. Non-game related, I really dislike the active internet connection requirement to play. This means that if I'm on vacation without internet, I can't play SimCity. This means that if EA decides to shut down the SimCity servers, I can't play SimCity. A botched launch to the game. I could download the full game and install it, but was unable to log into the server to launch the SimCity. Even though EA did poorly with the launch, there has been many game updates that resolve many of the problems. 8 months later, the gameplay is much smoother (traffic, growth, etc). I love the trading (oil, trash, services) aspect. It's a huge improvement over the previous SimCity. 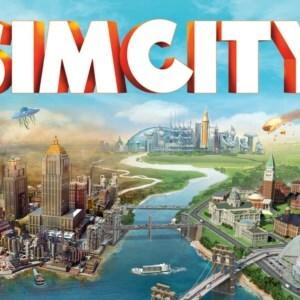 If trading wasn't introduced, the new SimCity would only be a revamped version of SimCity4 with better graphics. The ability to add-on to existing service buildings (police, fire, hospital, etc) is awesome. One of things I disliked the most from SimCity4 was a police station required lots of real estate and was on every other block (to insure good coverage). The ability to add bus stops via signs on a road, instead of bus depots (like in SimCity4). Bus Depots took tons of space. The specializations for a city. I love making a city a tourism hub and/or casino city. Those specialization are extremely profitable (although it's not always steady) and requires the least micro-managing. Event centers require payment first for an event, and then making money back selling tickets. Overall, I love this new SimCity and will continue to play it when time allows. I usually log in once or twice a week for a couple of hours at a time (this is a reason the region concept doesn't work with me) and build up my city. Like everything, I have a wish list of things I could imagine be different. I have a lot of small suggestions, but my biggest wish list item is to trash the whole region concept. If every city could be linked to any four cities of your choice, I would not have to continually rebuild a city when the cities in my region stop playing or become abandoned.